FRANKFURT (Bloomberg) -- Volkswagen Group sought to defuse mounting tension with labor leaders by agreeing to negotiations to safeguard factories as the automaker faces billions of euros in costs for its emissions-cheating scandal. 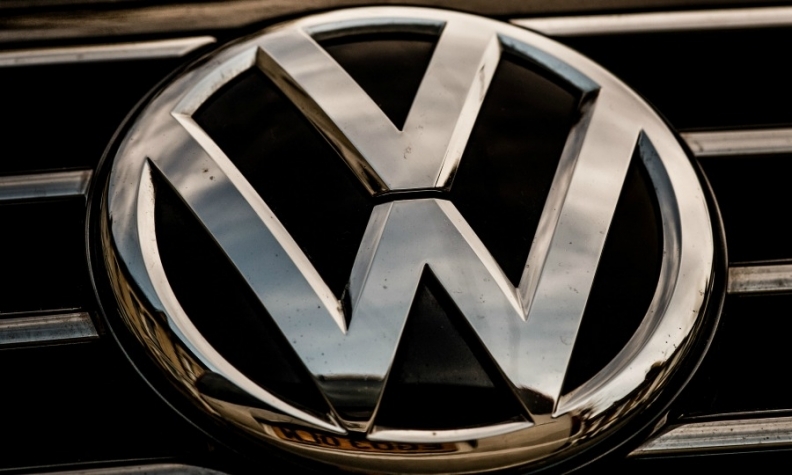 VW presented a unified front with management, labor and key shareholders all backing the effort, according to a statement following a meeting of top supervisory board members on Monday. CEO Matthias Mueller will lead the talks with labor chief Bernd Osterloh, who said last week that Herbert Diess, chief of the VW brand, "lacks reliability." "We know and respect Mr. Mueller and Mr. Osterloh as responsible gentlemen who always have Volkswagen's best interests at heart," Wolfgang Porsche, the head of the family that controls 52 percent of the carmaker's voting shares, said in the statement. "I am convinced they will succeed in finding good solutions for VW, its employees and shareholders." Diess, who joined Volkswagen from BMW last year, has been butting heads with Osterloh for months. The rift widened last week when the labor leader called for job protections, charging the head of Volkswagen's biggest unit with using the scandal to push through deep cutbacks. Diess will play a role in the process as he leads the effort to draft a strategy through 2025. The plan will involve binding packages of short- and medium-term investments for Volkswagen's German facilities as well as long-term targets as the carmaker looks to overcome the crisis and transition to production of more electric-powered vehicles. "A clear strategy is vital for the future of the brand," Mueller said in the statement. "Both the works council and the board of management accept their responsibility." Workers, which control half the seats on Volkswagen's supervisory board and have special rights that enable them to veto plant closures, have grown increasingly uneasy as the company continues to assess the damage from the scandal and weighs cost-cutting measures that could cull jobs. Workers have unusually strong sway at Volkswagen, in part because of their political influence in the German state of Lower Saxony, which has two seats on the supervisory board and often sides with the carmaker's staff as a result. The participation of Mueller in the talks is "a strong signal for the entire Volkswagen team," said Osterloh in the statement. "Our aim is to jointly overcome the effects of the emissions scandal and at the same time lead Volkswagen" into the future. VW's top players however failed to reach agreement at Monday's meeting on the issue of bonuses for senior managers, which has become a flashpoint in the growing tensions with labor representatives. "The supervisory board talks over the bonus payments are ongoing, the result of which I cannot and do not want to preempt," said Stephan Weil, prime minister of Lower Saxony, VW's second-largest shareholder after Porsche Automobil SE.